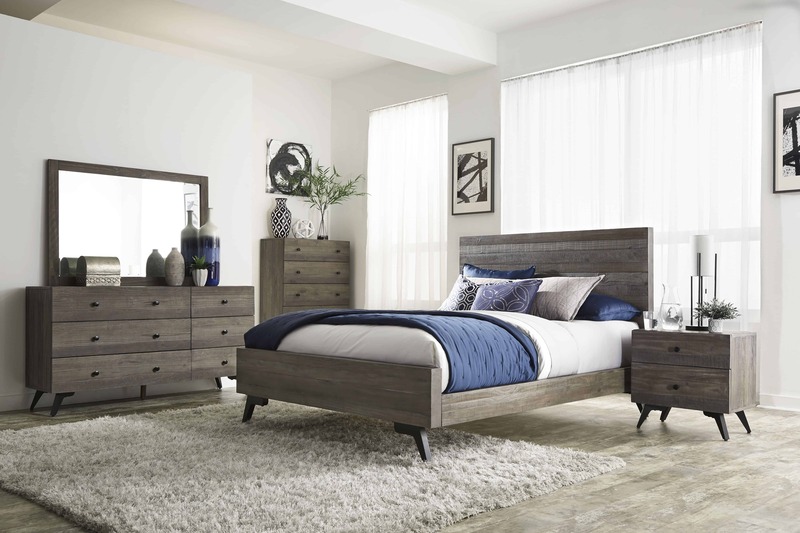 Our Nevada collection lends a rustic mood to modern style with its elegantly angled legs, subtle details and minimalist form. 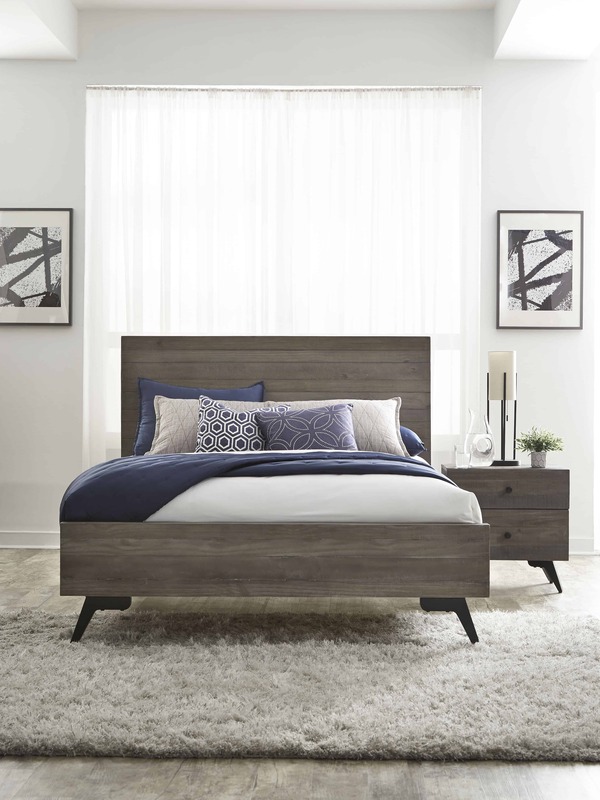 Made entirely from solid wood, the timber’s natural grain is enhanced with an alternating sequence of sandblasting, wire brushing, and saw marks. 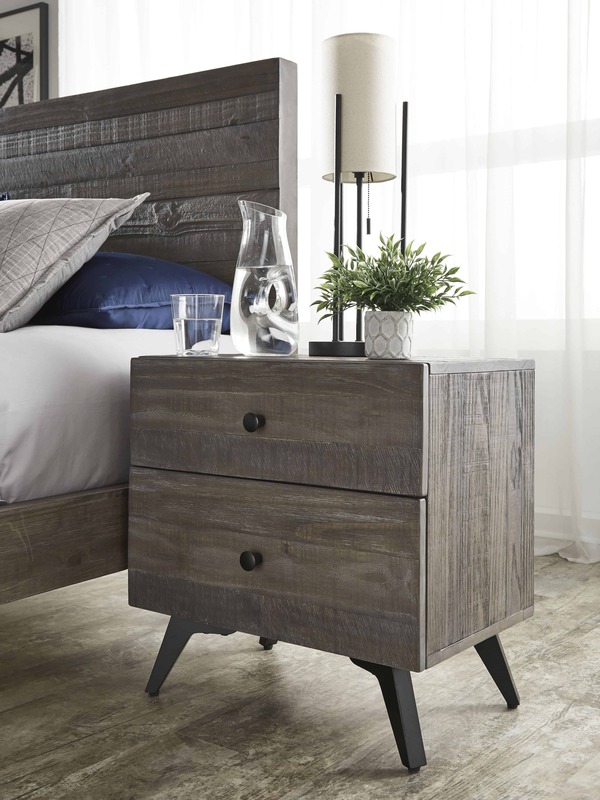 Asymmetrical dresser drawers provide an eye-catching, flexible storage solution. Finished in Gray Pine.